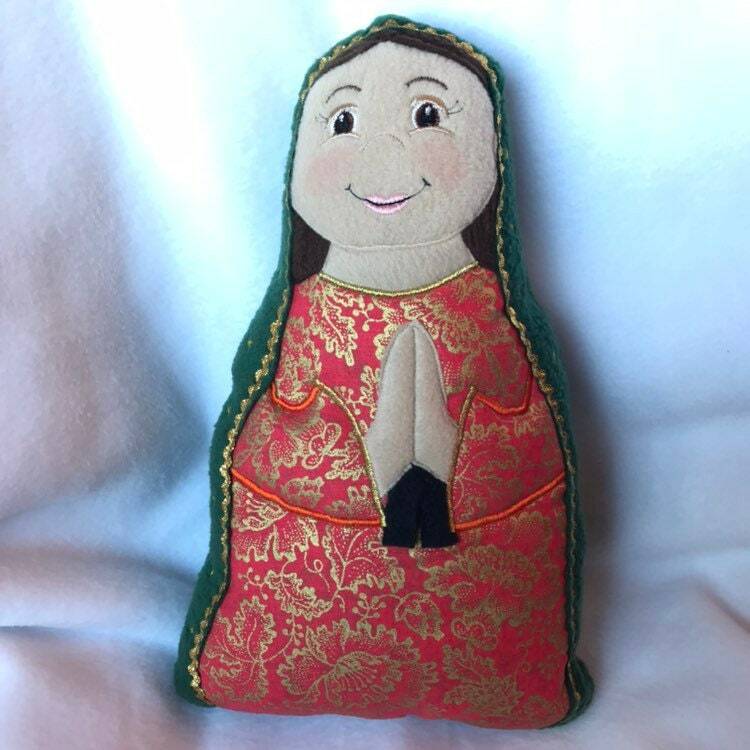 Our Lady of Guadalupe Handmade Soft Saint Dolls, Our Lady of Guadalupe, Blessed Mother, Soft and Perfect for little ones to Snuggle with. Our Lady of Guadalupe Handmade Soft Saint Doll. 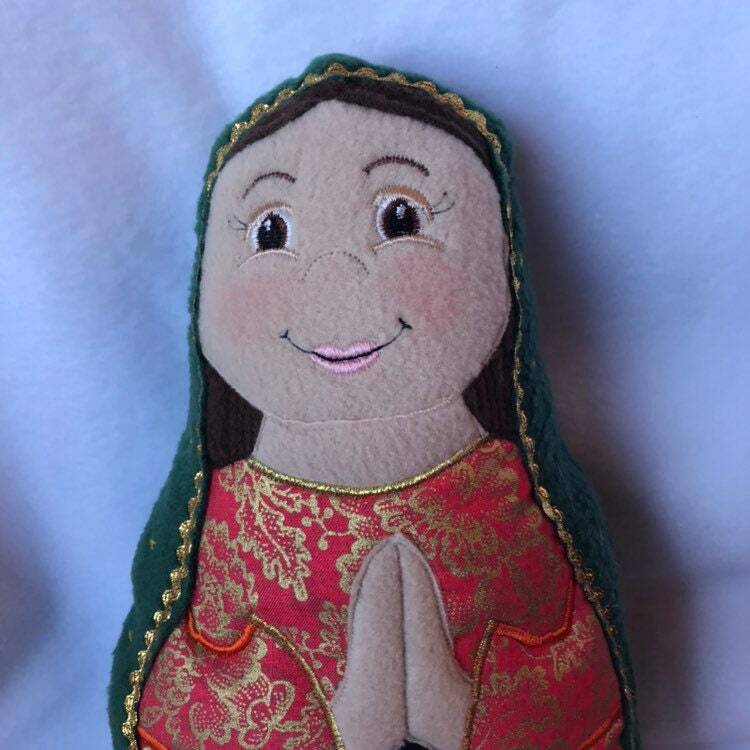 Each doll is cut out by hand and pieced together, approximately 14" tall made with soft fleece, making it perfect for your little ones to cuddle up with. Faces are machine embroidered with a sweet friendly face your child will love, mantle and gown are trimmed in gold. 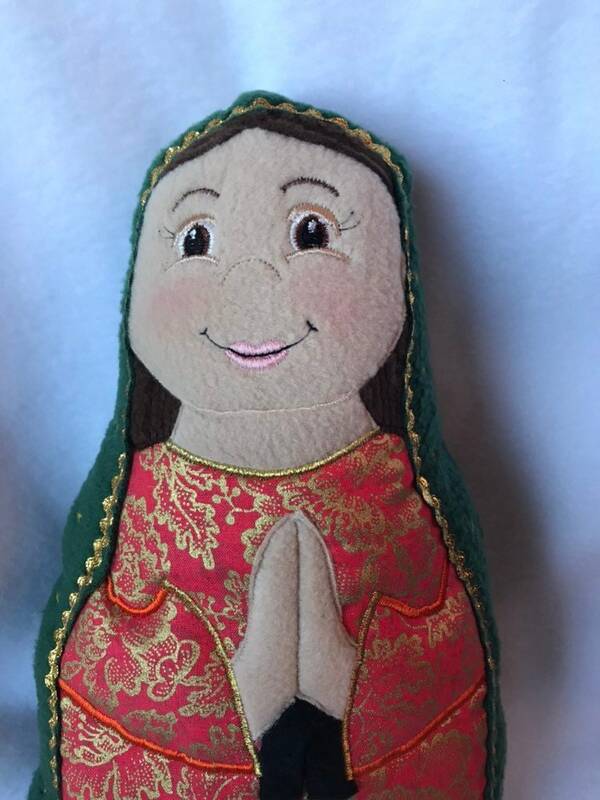 A perfect way to help little ones learn about the saints. 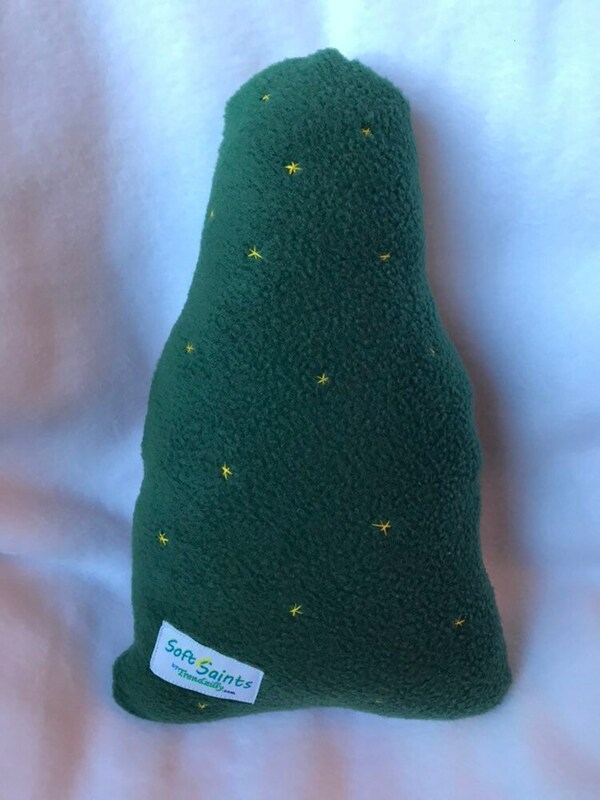 Made in a smoke free pet free home. *Please Note that because each item is handmade no two are exactly the same.